If you have just purchased a new computer (Windows PC or Ubuntu Linux), and now you want to have some important applications like Google Chrome, Firefox, Antivirus programs, Firewall, Google Talk, Skype, FileZilla, Adobe Reader, Flash plugin, OpenOffice, Silverlight, Adobe AIR and lot many other application, then you will have to download them separately to install on your PC or Ubuntu Linux distribution. But you can do that on single go by selecting required software from the list (by building own list) and click on “Install” to directly install them on your computer. We are talking about web application thru which you can install important software by single click. 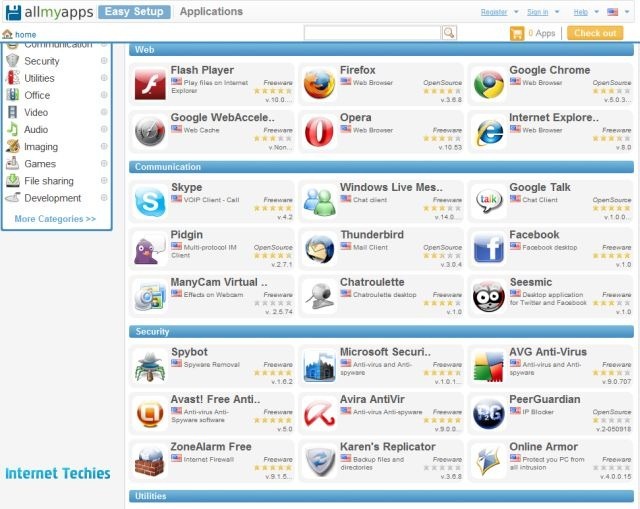 You can select your required free software from the webpage of allmyapps and register yourself for free over there. Then they will provide you an installer which will run on your computer. 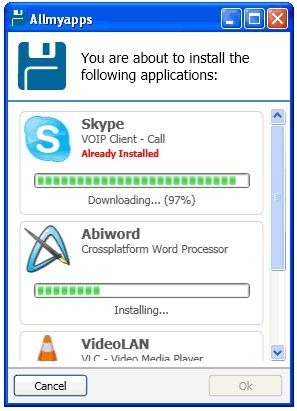 That installer will install all the listed or selected software from the webpage. This web application for bundle or group installation is a secured way of installation, so you don’t need to worry about any spyware or viruses. Many people war using allmyapps to install multiple software in one go. This is a similar application for same purpose. The only difference is that there is no sign-up or registration required in case of Ninite. Software listed on Ninite works on Windows PC only (32 bit and 64 bit Windows 7, Vista and XP). Select the software by checking the box near to them and then click on “Get Installer” to download and run the installer. That installer will install all the selected software in one go. Did you use such application for bulk installation or planning to do the same? Are you afraid of spyware or viruses in using this kind of installation process? Share your thoughts about this kind of bulk installation web installers.